Excerpted from the Sutherland Centennial Book, published in 1991. Elmer Lind was united in marriage at Osceola, Nebraska in 1910 to Florence Talbot, and later moved to Kewanee, Illinois. To this union, a daughter, Marjorie was born on January 24, 1915, and a son Hubert. Florence, along with her newborn son died during the flu epidemic in November 1918. They are buried together at Kewanee, Illinois. Upon the death of his wife, Elmer took Marjorie, who was just three years old, to Stromsburg, Nebraska to live with her grandparents, the A.B. Linds. It was in Stromsburg that Elmer met and later married Adela Christy. The Ku Klux Klan influence was very strong in the Stromsburg community and because Adela’s father, E.T. Christy wouldn’t join the Klan’s ranks, he moved from there to Sutherland in June of 1925 where they opened the Christy Bakery. In August 1925, Elmer, Adela and their young family moved to Paxton, Nebraska where Adela was to run a café, and Elmer was going to learn the bakery business from Adela’s father. Adela operated the café in Paxton for approximately one year, and then learned that the family was soon to be increasing, so with two small girls and another baby soon to arrive, she closed the cafe in Paxton, and moved to Sutherland in the spring of 1926. The family lived in the living quarters behind the family business known as the “Candy Kitchen,” which was the bakery. It was located on east Front Street. 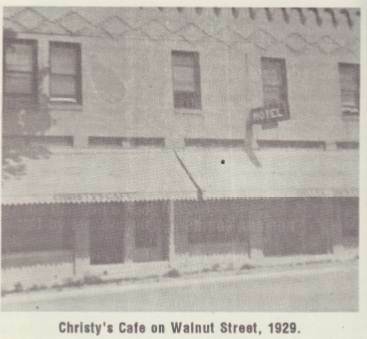 In August 1927, the Sutherland Courier states that Christy the Baker announced the opening of a new café in the front portion of the bakery. The bakery business continued to prosper until a tragic accident that happened in April 1929. Clayton Malm, a young school boy came into the bakery to visit a friend after school one day. He reached into the mixer to get some dough, and got his hand caught in the blades of the huge mixer and was pulled into the large mixing vat. The boy was small for his age at fourteen years. Adela and an employee, Ella (Rhoades) Thomas were in the bakery at the time. Adela went for help; it took ten men to pull the boy out. He died later that night at the hospital. It was a horrible accident, and when the word got around the area that the boy was pulled into the vat, no one wanted to buy their bread. They had been selling one thousand loaves of bread a day, taking bread to Sarben, Paxton, and Hershey. After the accident the sales dropped to ten loaves a week. E.T. Christy put a notice in the paper that the mixer had been replaced by a new one, but that didn’t help matters any. The Candy Kitchen space, which was next door, was leased and the lease was not renewed. 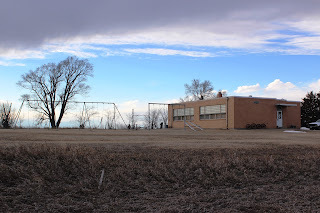 The bakery equipment was sold to Mr. Emil Seiler, who moved the business to Madrid, Nebraska. Following the sale of the bakery business, E.T. 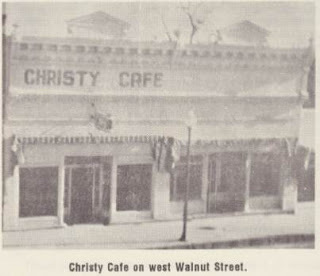 started the Christy-Lind Café in the McNeel Hotel building. This was operated until October 1929, at which time it was sold and the family moved to Grand Island to run a bakery there. The stock market crashed and the economy was bad. The bakery was lost in Grand Island. In April, 1930 they moved back to Sutherland to take back the café that had been sold because the buyer couldn’t meet the payments. The lease on the hotel building space was not renewed, so E.T. built a small building for the café west of the schoolhouse on Locust Street. This was also called Christy-Lind Café and had a patio area where people could eat outside and enjoy the cool of the outdoors. This building and the business was destroyed by fire in March 1934 and was never rebuilt. At this time, E.T. and his wife decided to move to California. They were on the train enroute when Mrs. Christy passed away. Her body was removed from the train at Salt Lake City, Utah. Mr. Christy continued on to California. Elmer Lind and family stayed in Sutherland, and Elmer went to work for his brother, Ben Lind, who had a farming operation near the Nichols School, east of Hershey. Elmer died November 11, 1940 and upon his death, Adela’s father, E.T. Christy returned to Sutherland from California. In June, 1940, the Sutherland Courier has an item that a business with the name of “Life’s Bakery,” located across the street from the McNeel Hotel was in operation. This business was sold to E.T. Christy in January, 1941. On January 9, 1941 an article in the Courier reads as follows: “The first of this week, E.T. Christy, former Sutherland resident, bakery and café man, returned to Sutherland from California and purchased the O.J. Life Bakery. For the past four years, Mr. Christy had been the purchasing agent for the C.C.C. Camp near Eureka, California. It was six years ago that Mr. Christy left Sutherland to locate on the west coast. The bakery will be known as the Christy-Lind Bakery, and will be open to the public Saturday. Mr. Christy promises the best in a full line of bakery goods, and they will also serve coffee, bakery lunches and hamburgers. An invitation is extended to al people of Sutherland and surrounding community to renew acquaintances with Mr. Christy and his products. They will be glad to meet you. He will be aided by Mrs. Elmer Lind, his daughter, Shirley and Christy Lind.” The special for this day was Giant Angel Food Cake – 50 cents. 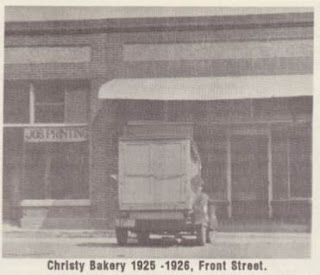 The final word, though no date is given, is that Mr. Christy didn’t stay too long this time, the demands of bakery items in the area was not in existence any more, so he returned to California. 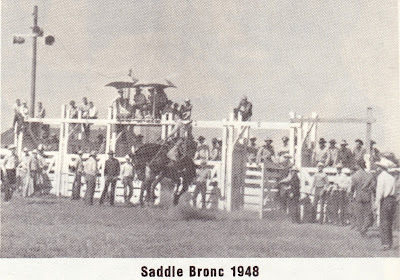 He later returned to North Platte where he passed away.